He has requested that the suit be dismissed. According to TMZ, Future has dropped his countersuit against Ciara. The original suit — Ciara is suing Future for $15 million for calling her a "bad mom" — is still ongoing. The news comes just after Future was granted joint custody of their son in May. 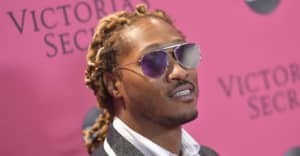 Sources told TMZ that Future didn't want to mess with his newly granted custodial rights by forging ahead with his lawsuit. Representatives for Future and Ciara were not immediately available for comment.